I enjoy a good curry and I love the seemingly infinite amount of variations you can find. I mentioned yesterday in my Naan post that my husband made a wonderful curry. I think it is by far my favourite to date. 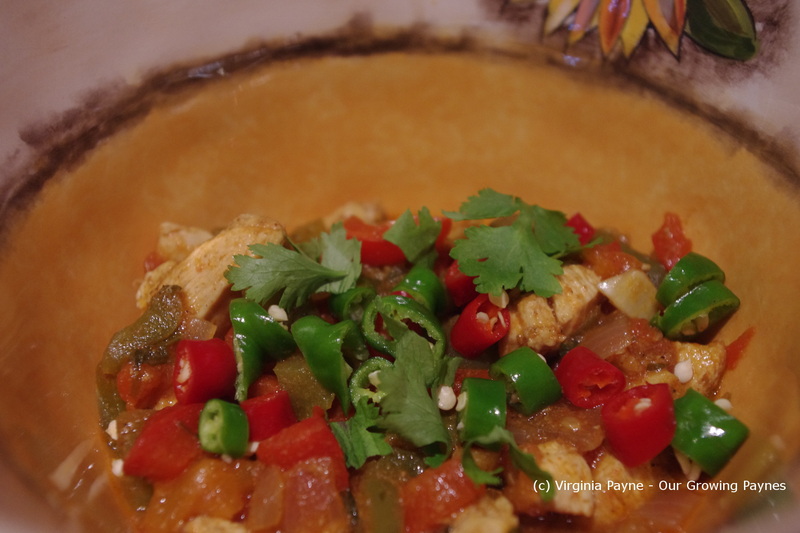 It is Chicken Jhalfrazi from the “Best Ever Curry Cookbook” and it is quick and easy with amazing flavours. 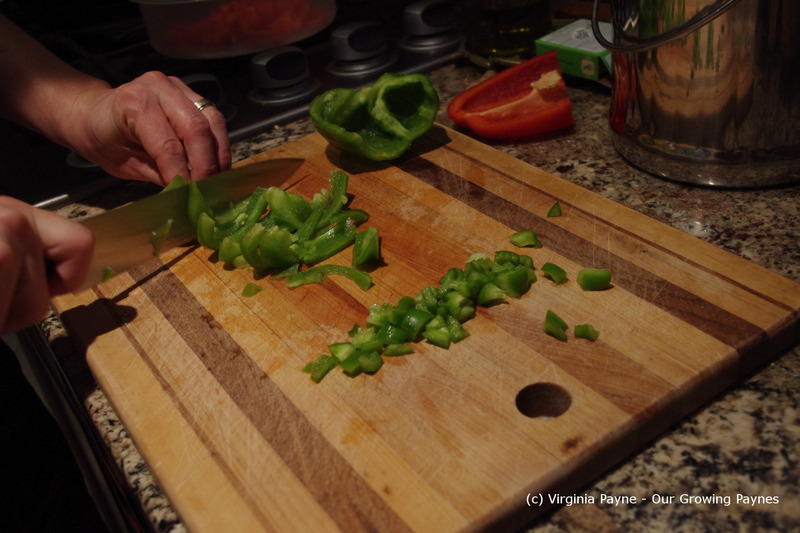 Chop a green bell pepper and a red bell pepper finely. 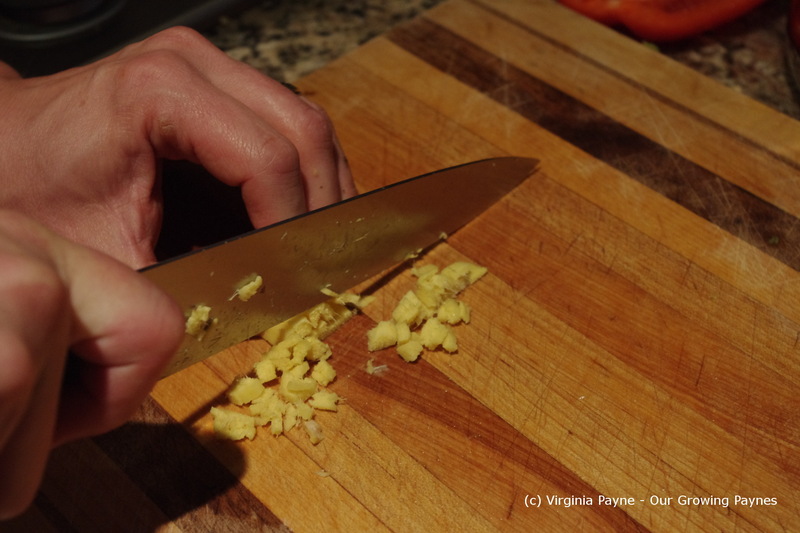 Chop up some fresh ginger, onion, and garlic. 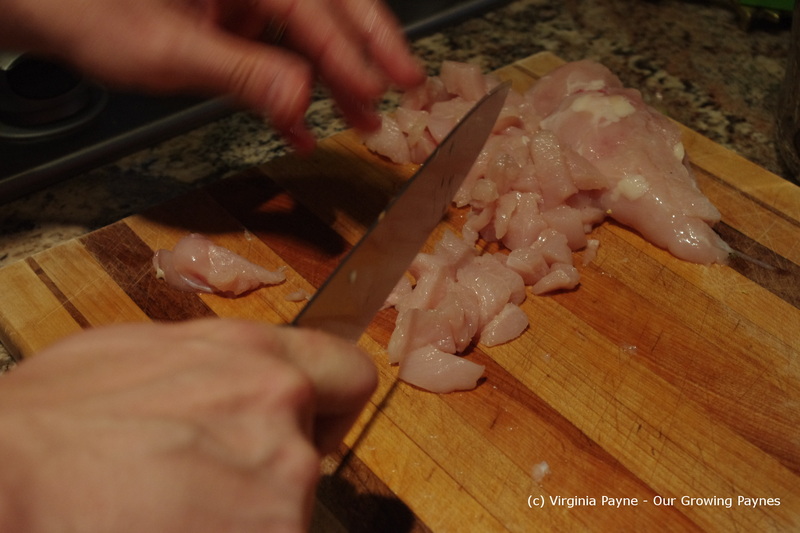 The recipe calls for 1 1/2lbs of chicken breast to serve 4! We used about 1/2 lb. This was cut into small cubes. 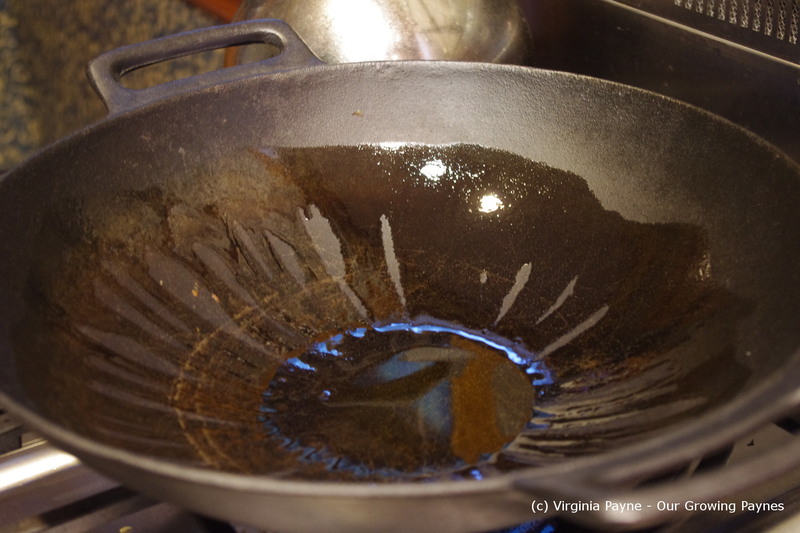 Heat up an iron cast wok with some olive oil. 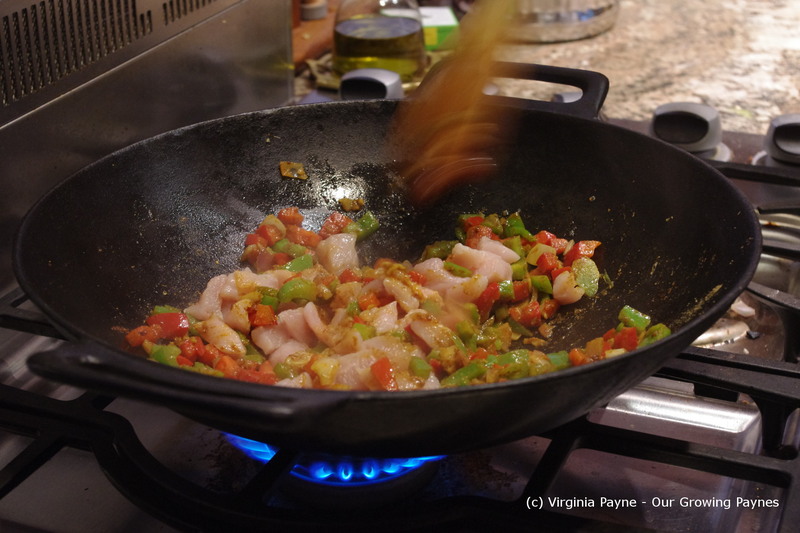 Once the oil is heated add in the veg and stir. 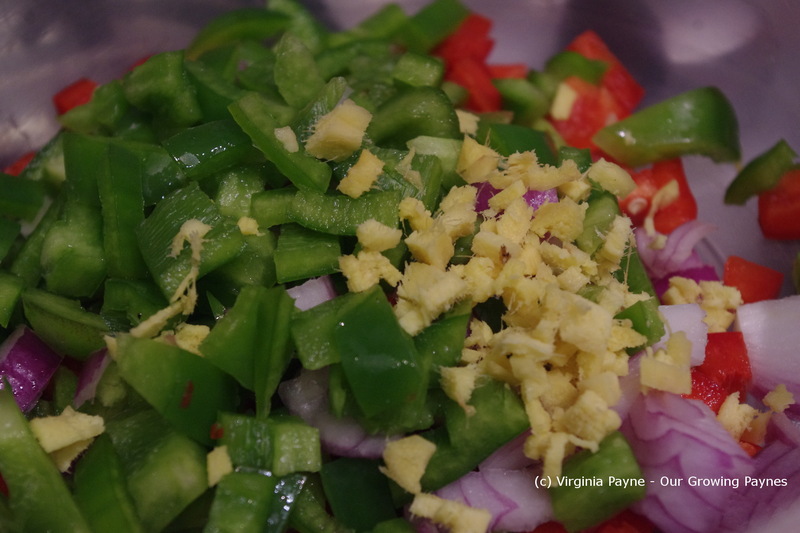 Then add 1-2 tablespoons of curry paste depending on your taste. The recipe calls for 1 tsp of cumin seeds and 1 tsp of ground cumin. We didn’t have the seeds so we upped the ground cumin a bit. Next add 1 tsp ground coriander, 1/4 tsp chili powder, and 1/2 tsp salt. 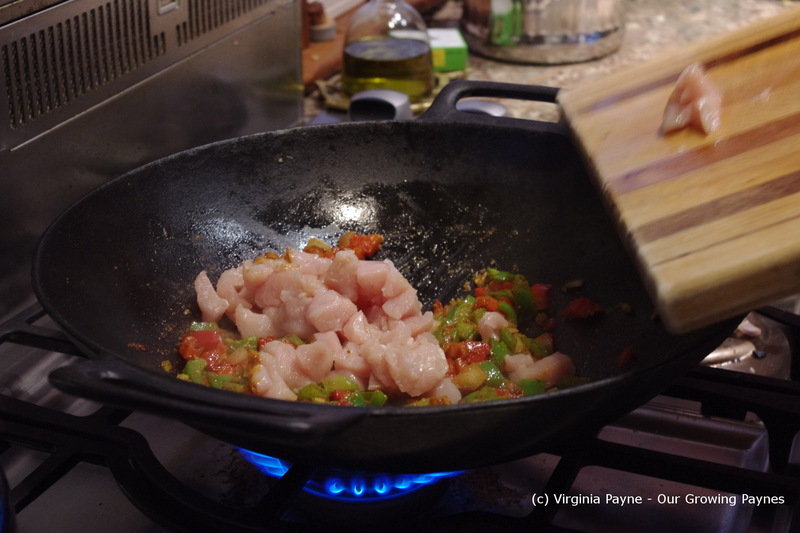 Stir well then add the chicken. 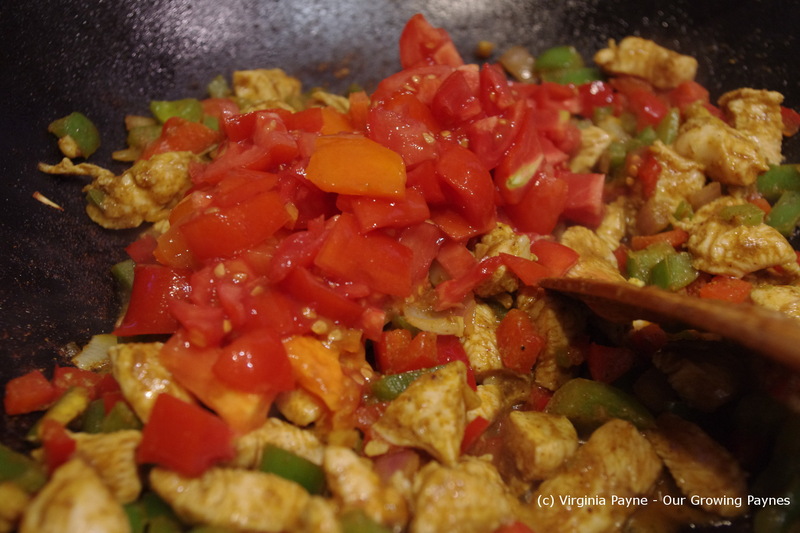 We didn’t have 14oz of canned tomatoes but we are surrounded by fresh tomatoes so we chopped up a bunch of fresh tomatoes and added it to the wok. Stir and then cover and simmer for 15 minutes. To serve chop up fresh cilantro and mix into the dish saving some to garnish on top. 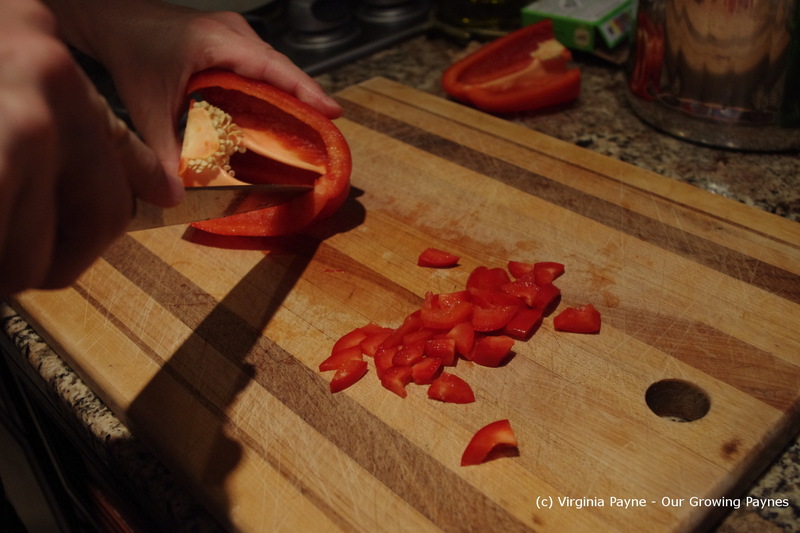 You can also add a bit of hot peppers as a garnish like my husband did.